For additional information about this book, visit the website bktirrell.com. Love comes when you least expect it . . . Stunned and alone, Rusty retreats inside, to the only place he feels safe. When he meets the police officer, Jason, many months later, both men find themselves in a surprisingly different spot. 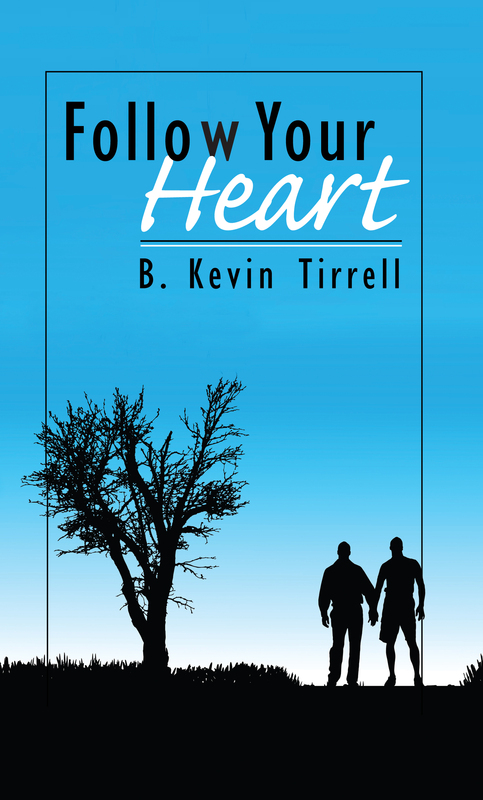 While Rusty doesn’t fully understand his attraction to another man, and Jason fears losing his heart to a possibly confused straight guy, they play an electrifying game of push and pull, hoping to find their way to happily ever after. Follow Your Heart is a male/male love story about Rusty Jackson, a self-employed contractor in his late twenties who loses his wife in an auto accident. Jason Lane, an openly gay, 30-something police officer, has handled the accident and has to tell Rusty about his wife’s death. From the moment they meet, even in such tragic circumstances, there is a connection between Rusty and Jason. While Rusty doesn't fully understand his attraction to another man and Jason fears losing his heart to a possibly confused straight guy, they play a game of push-and-pull, trying to find their way to happy-ever-after. Along the way there is a fun trip to Las Vegas that tests their devotion to each other, a shoot-out and the joy and heartache that comes from love, friendship and finding your way to your destiny. B. Kevin Tirrell lives in northern New Jersey with his long time partner, and spends his days as a human resources manager, but has always enjoyed writing. A lifelong romantic, B. Kevin began writing short stories and poems as a teenager. Even though his greatest aspiration was to become an author, it wasn’t until recently that he decided to take the chance and write his first full-length novel. An avid fan of M/M romance, he hopes that fellow readers will enjoy his stories of coming out, gay love, and self-discovery.